Canyon Diablo, located east of Flagstaff, Arizona, originated in 1880 when construction of the railroad was halted while a bridge was built over the nearby canyon. Financial difficulties caused further delays and the bridge was finally completed in 1890. 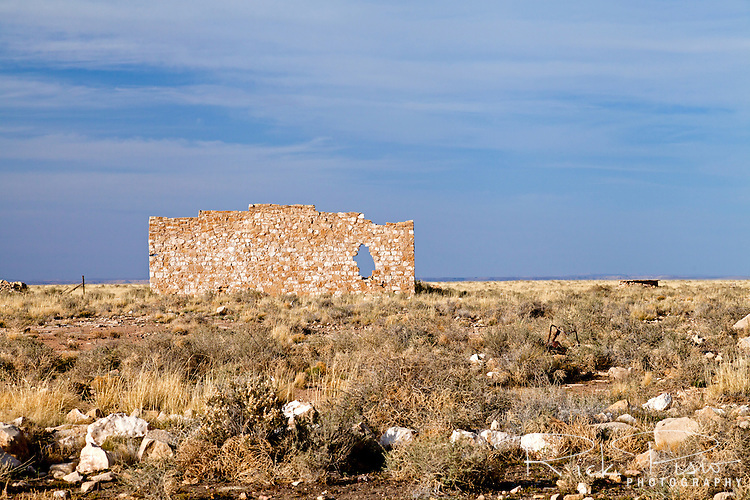 The settlement had no law enforcement and earned the reputation as being meaner than Tombstone and Dodge City combined. When the town got its first peace officer he allegedly put the badge on at 3:00 p.m. and was laid out for burial at 8:00 p.m. Five other men also took the position none of which lasted more than a month before they too were killed. The town died after the railroad bridge was built and little of the original settlement remains today.